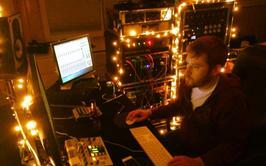 Jim Stewart is acclaimed as one of Cleveland’s top producers and consistently turns out high-quality recordings. Thanks to his mastery of the technical aspects of recording, as well as his ability to provide helpful feedback to recording artists, Jim has quickly made himself into a household name in the Cleveland music scene. Stewart’s influence on Cleveland’s indie-rock scene is significant, with credits ranging from Welshly Arms to Ohio Sky, as well as countless other Cleveland favorites.